This print is from The Little Illustrator on Etsy. Check her out, she has amazingly cute stuff. Ahhh, books. I love books. I love words and stories. There are so many books I want to read. But I hardly read anymore. 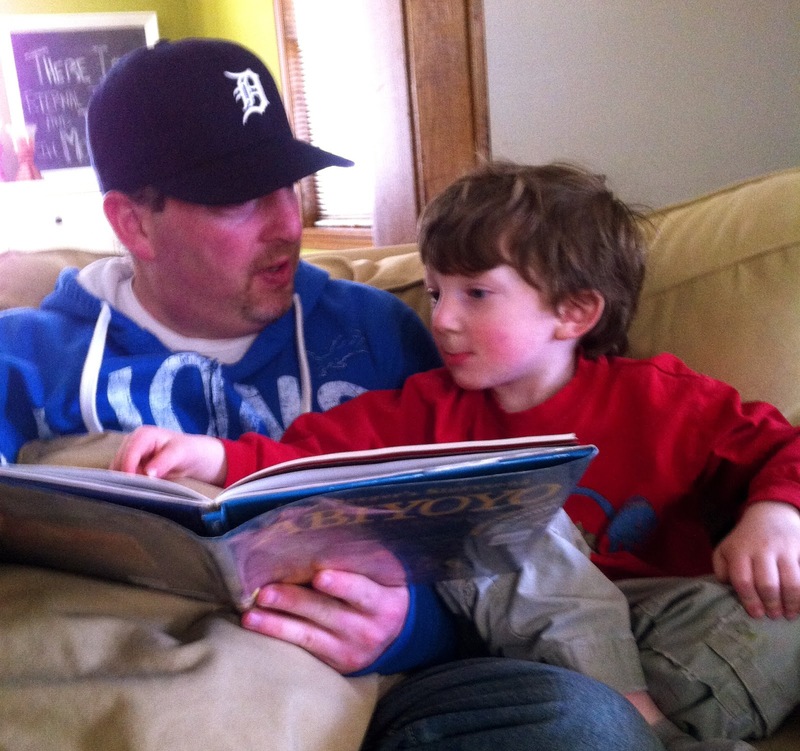 Before I became a mother, I heard the stories of moms who stopped reading books. And of course, since I was full of empathy and compassion, I rolled my eyes and thought that would never be me. But dude, it's me. I generally fall asleep two pages into a book. I still love books. I have shelves lined with books I've read or want to read. I have boxes of books that I haven't even unpacked yet from our move last year. My nightstand is stacked with books that I plan on reading. Even my iPad bookshelf is loaded with downloads of books waiting to be finished (hello BossyPants). There are also a couple books I've read on my nightstand or that I've started and haven't finished yet. And when I say I don't read books anymore, I just mean not as many as I want. I read a few a year (that sounds so horribly embarrassing, ugh, you can judge that, go ahead). Rockabye by Rebecca Woolfe is one book I recently finished. She is a blogger and totally cool chick. Her blog is GirlsGoneChild.net. The book is about adjusting to motherhood after the birth of her first baby. Since it was a million years ago (really only 11, but today it feels like a lot longer, Spring Break is making me older and more exhausted by the minute), I thought maybe I couldn't relate. But, I did. Preach. This is exactly what I needed to read before my big blogging conference weekend away. 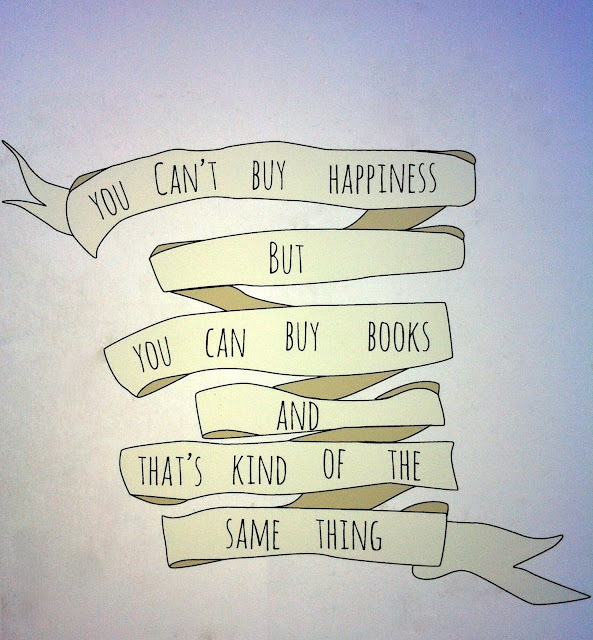 I love books. I love words and stories. So what, if I only read a few books a year. I know I'll read more when I'm less exhausted and the kids are a little older and there are magically more hours in a day. Until then, I will be inspired, entertained and enlightened by the books I do read. 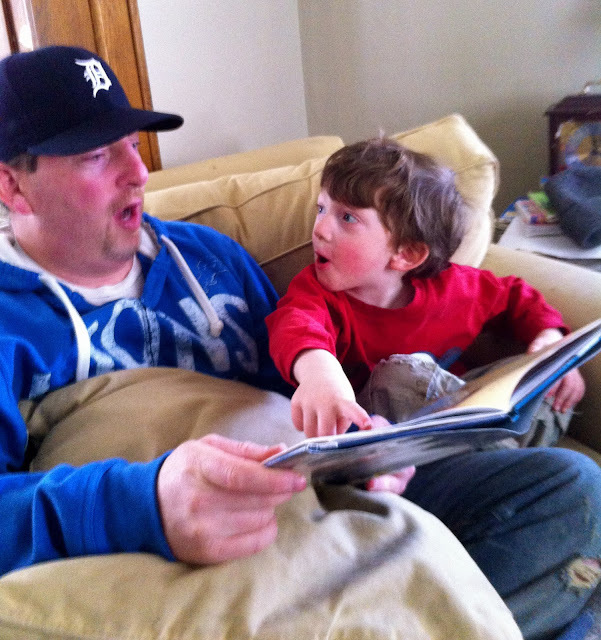 And then there's the whole joy of reading books to my kids and sharing the love and happiness. I often worry about baby Wade (I know he's almost 4 and he's not a baby, even though he still has a paci at night and climbs in bed with me, but he's my baby) and the fact that as the youngest of four kids, he hasn't been read to as much as the others. But I shouldn't worry. He loves books too. His current favorite is AbiYoYo. He literally jumps up and down with joy when we get the book out to read. 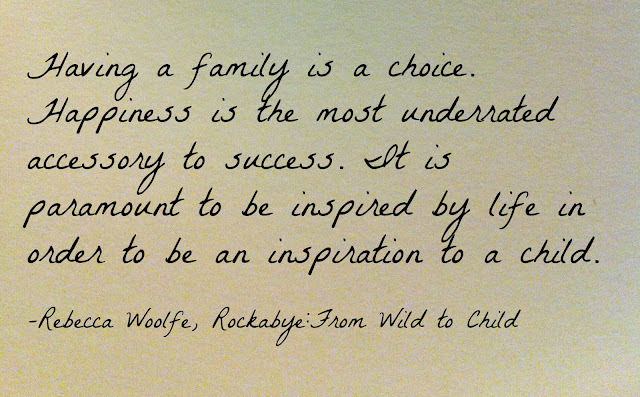 We just started reading Where The Red Fern Grows as a family last night. I remember loving that book when Ms. Hunter, my fifth grade teacher, read it to our class. Ms. Hunter was a very cool teacher and very progressive. She was the first divorced teacher I ever had and the first woman/teacher/person I ever met that used Ms. instead of Miss or Mrs. Radical stuff for 1984. So, not sure if it was because I liked Ms. Hunter or the book itself, but two chapters in and the whole family is hooked. So far so good--we're all hooked. I love books. And words and stories. What are you reading right now? 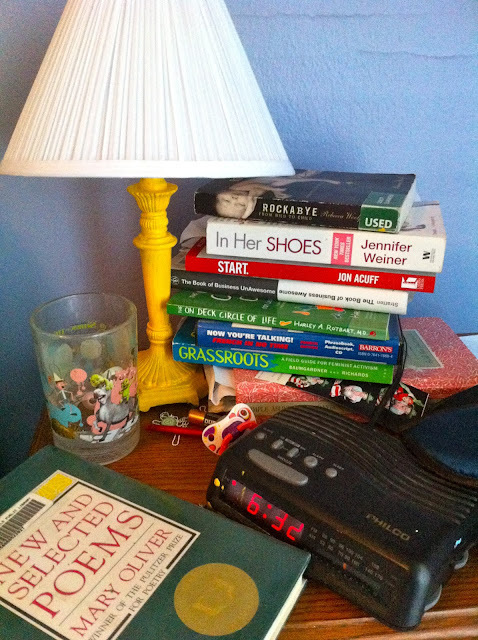 What's on your nightstand? Is there a book I should put in my top four must-reads this year? 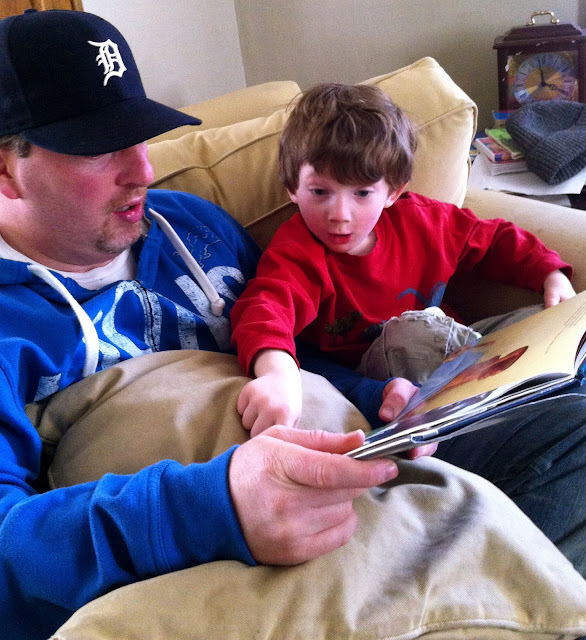 Are you reading any good books to your kids?